Calcium and Vitamin D help build and maintain strong bones. Adequate Calcium and Vitamin D are important factors that may reduce the risk of osteoporosis. 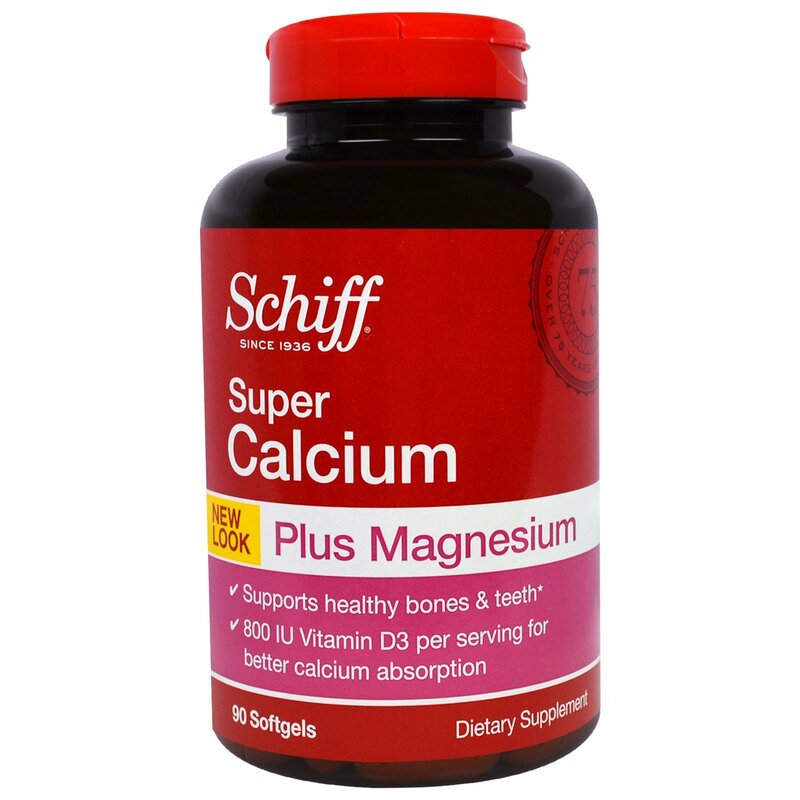 Schiff Super Calcium Plus Magnesium also provides 800 IU Vitamin D per serving to help build healthy bones and teeth, reduce bone loss and improve the absorption of calcium. Magnesium helps the body utilize calcium and supports production of cellular energy. Boron also supports bone health. 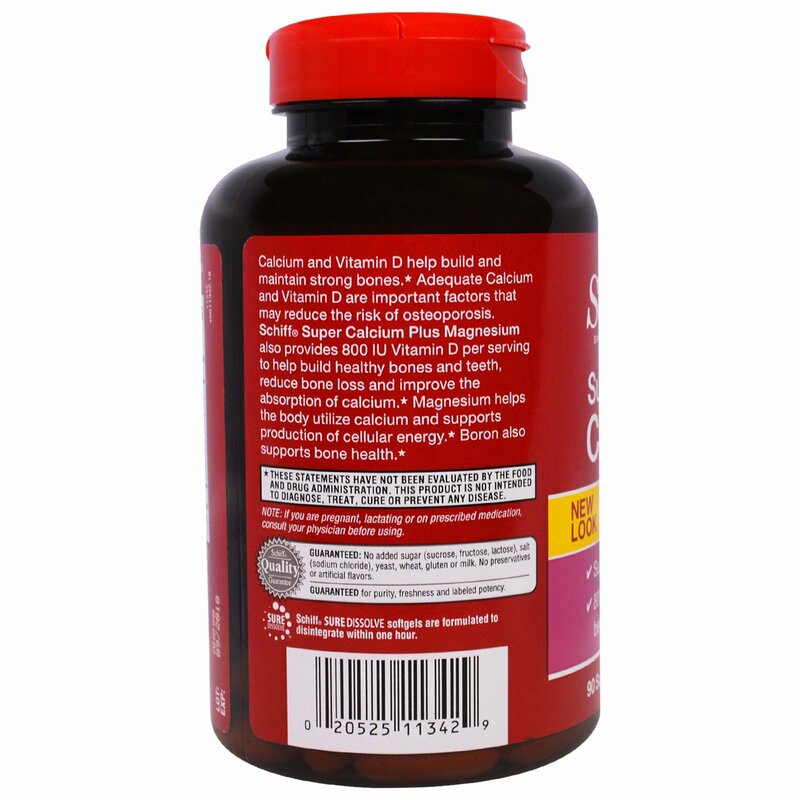 Take three (3) softgels daily or for best results, take one (1) softgel three times daily with a meal. 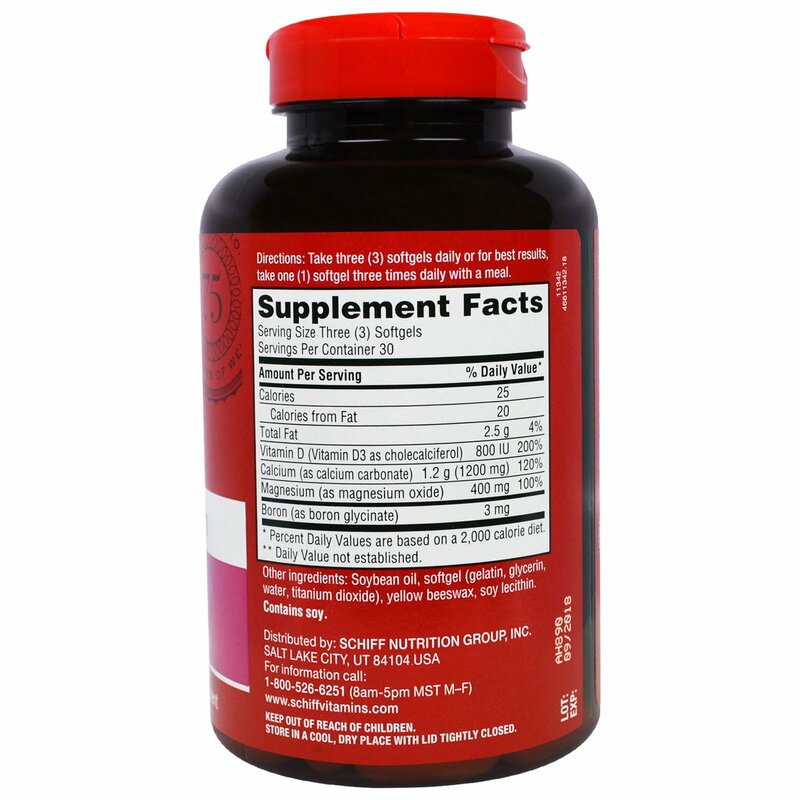 Schiff Sure Dissolve softgels are formulated to disintegrate within one hour. Soybean oil, softgel (gelatin, glycerin, water and titanium dioxide), yellow beeswax, soy lecithin. Note: If you are pregnant, lactating or on prescribed medication, consult your physician before using.